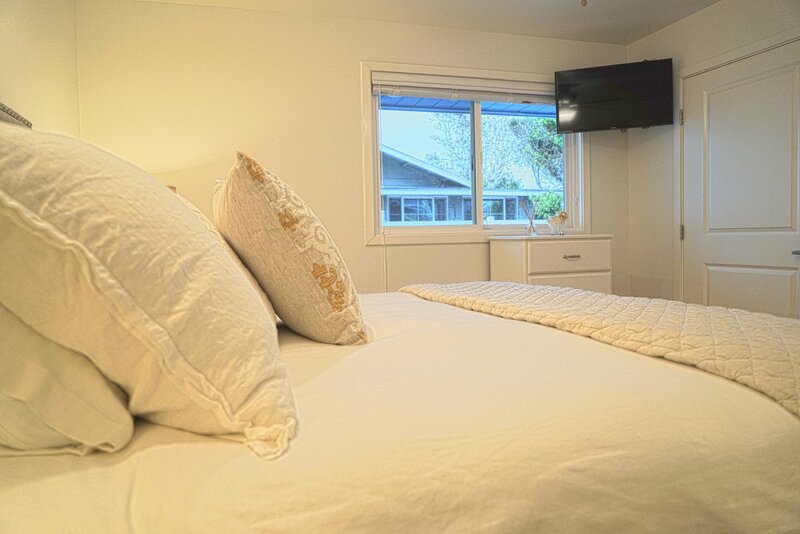 Relax in our downstairs unit with views of the pier and sunsets from the living room, dining room, and the large front yard. 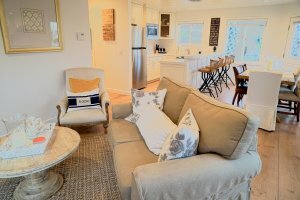 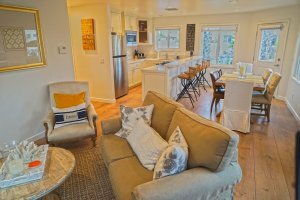 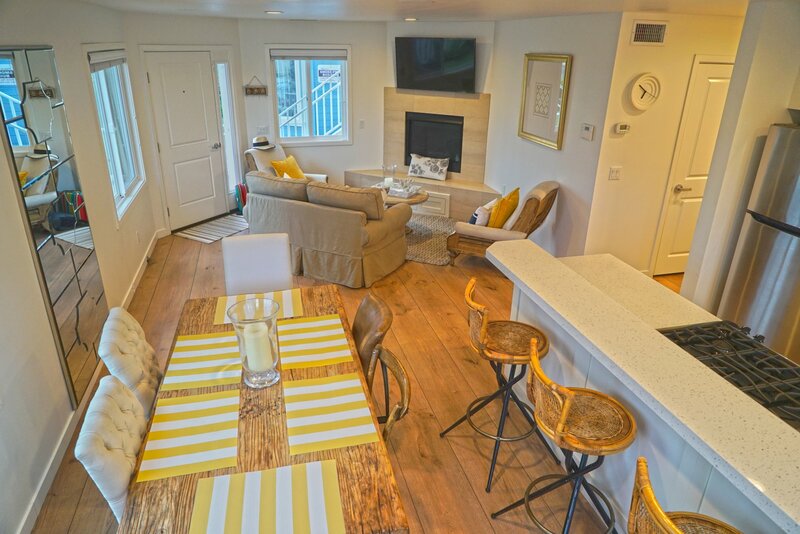 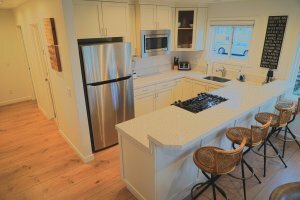 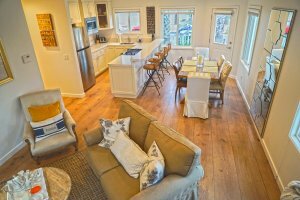 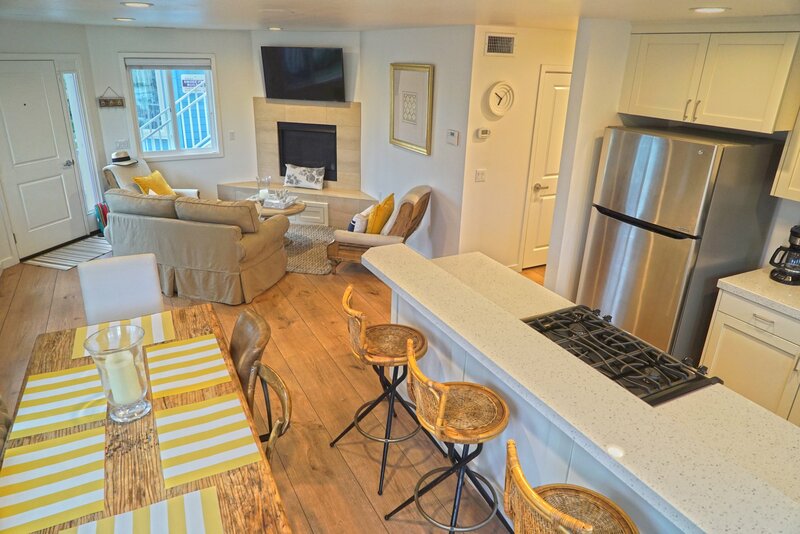 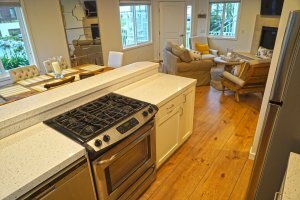 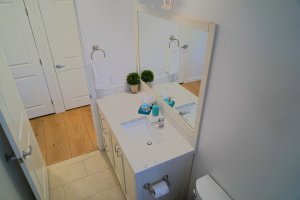 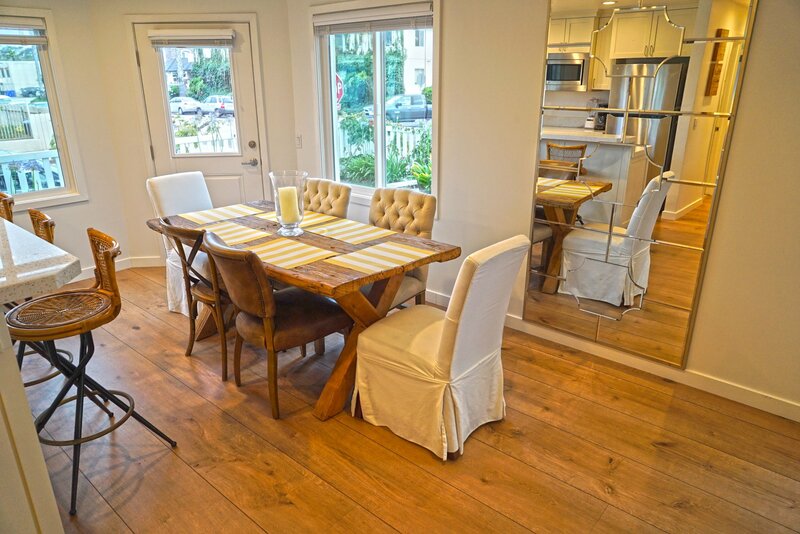 This is an amazing Cape Cod style vacation rental at the beach. Weekly rentals during the summer, book now for the 4th of July week and watch the fireworks from your front yard! 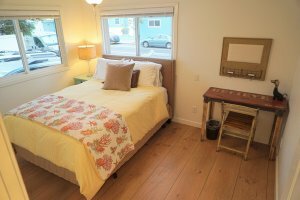 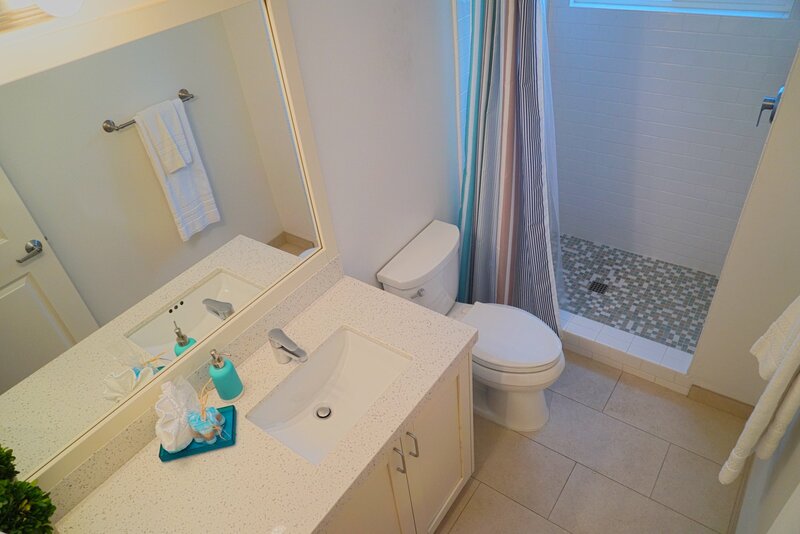 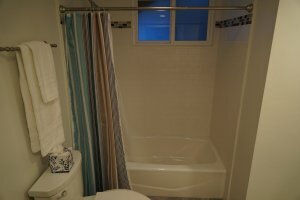 This is a 2 bedroom 2 bath rental 1/2 block from the beach. Enjoy the sunsets over the pier from the front yard and living room. This unit features an open floor plan in the living room, dining room, and kitchen. 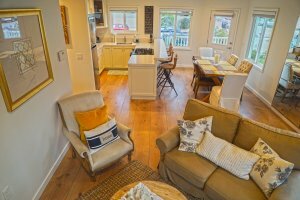 Large wood planked floors throughout the cottage. 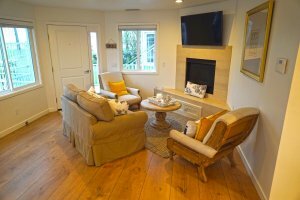 There is a gas fireplace in the living room, surround sound, Wifi, and cable TV. 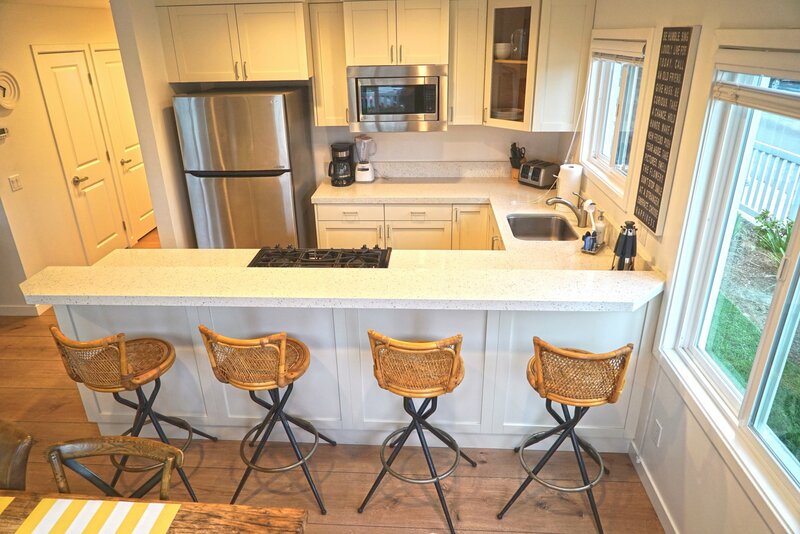 Large breakfast bar in the kitchen and a dining room table. 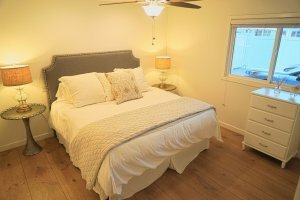 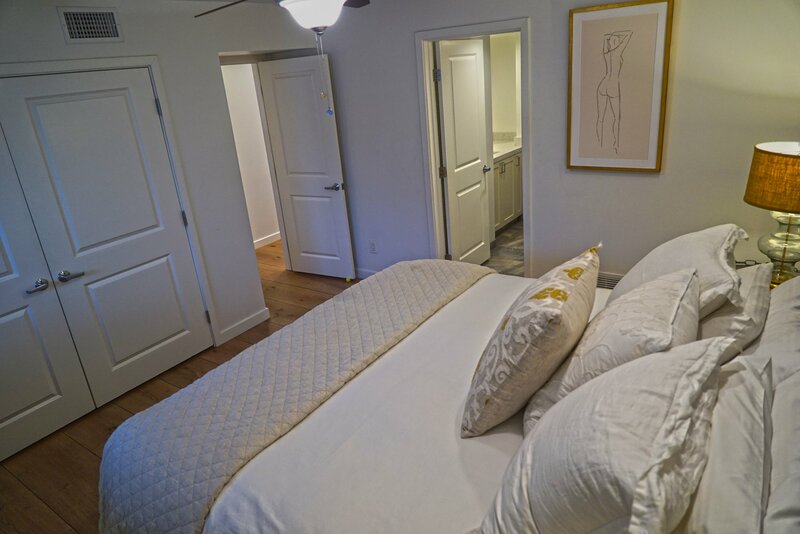 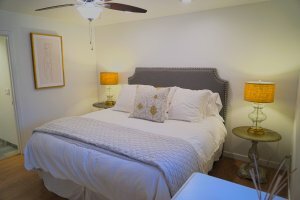 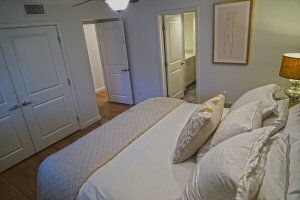 The master bedroom has a king-sized luxury bed with an attached bathroom. The guest bedroom has a queen sized pillow top bed and a small desk. 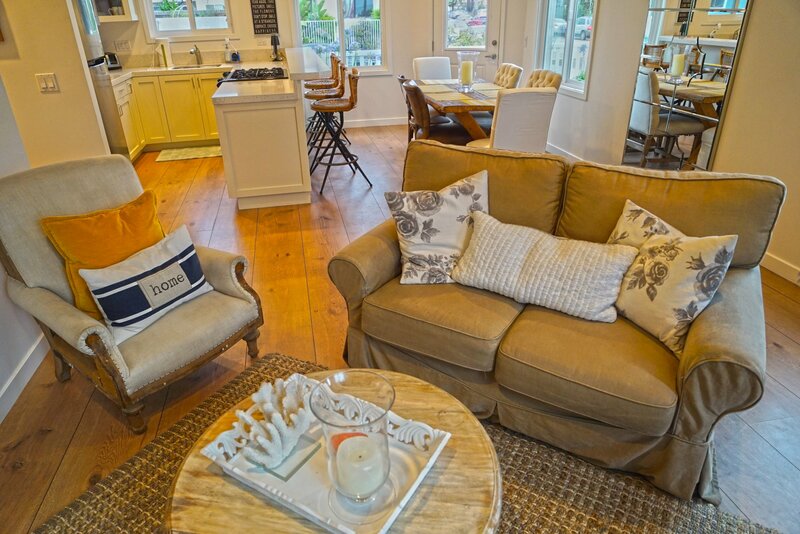 Living room with a comfortable pull out couch. Washer and dryer in the unit. 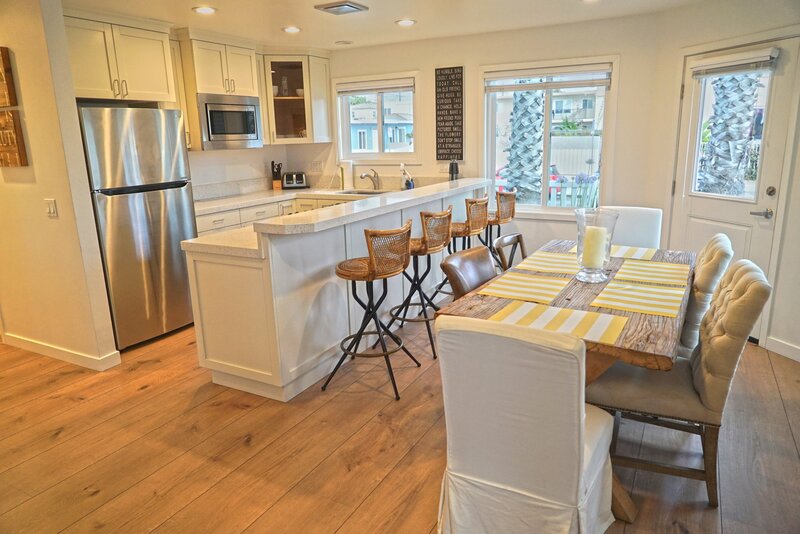 Gas grill in the front yard, great indoor-outdoor living. 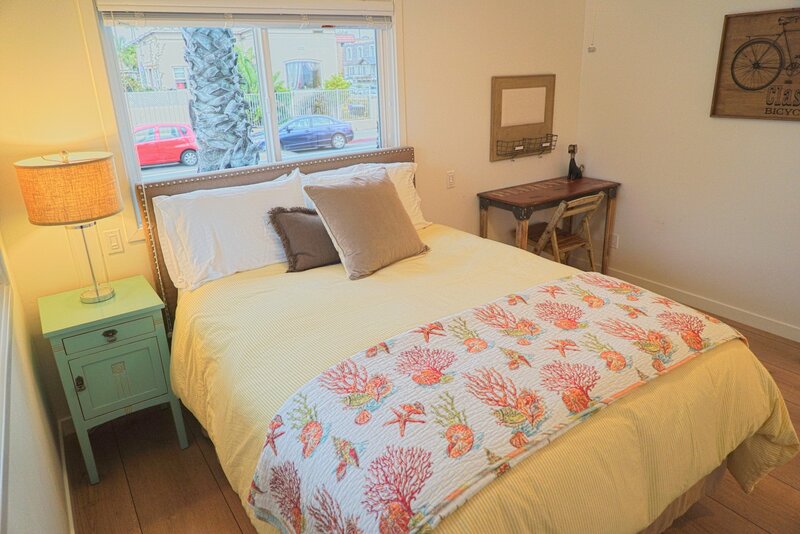 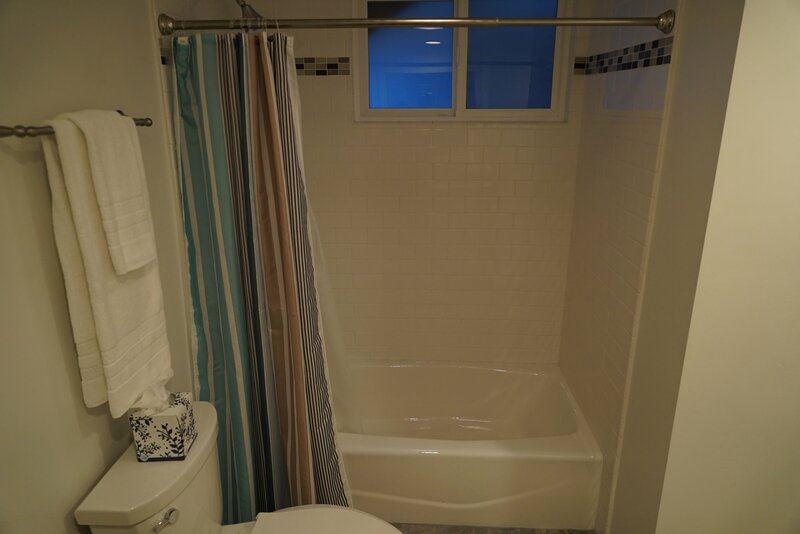 Perfect location 1/2 block to the beach, walking distance to great restaurants, coffee shops, bars, and shopping.